By the death of Daniel Sibbering-Jones on August 17th, 1931, the Cardiff Naturalists' Society has lost one of its most active and faithful supporters. Born at Merthyr in 1856, of a well-known South Wales family, he later came to Cardiff as a young man to join the firm of Trayes and Co., Timber Merchants eventually, in 1886, he entered into partnership with his brother-in-law, Mr. J. C. Meggitt, and established the firm of Meggitt and Jones, Ltd., Timber Importers, of Cardiff, Barry, and Gloucester. 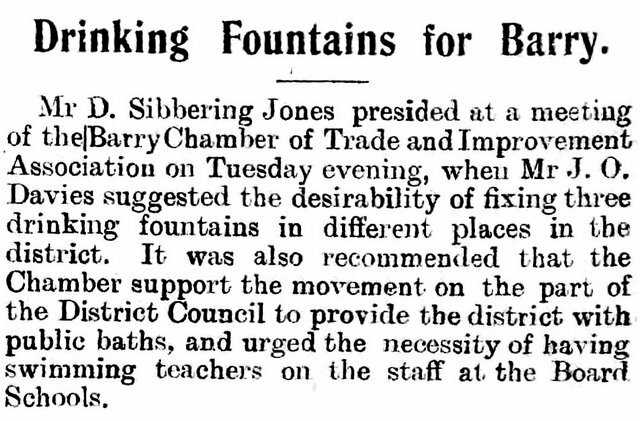 Sibbering-Jones was a widely travelled man, visiting from time to time most of the countries of Europe, the United States, and Canada, as well as the West Indies and Central America. He was of a quiet and unassuming disposition, with a kindliness and charm of manner that brought him a host of friends. He loved the country and was an enthusiastic Field Naturalist, and his skill as a trout fisher often led him into those sylvan surroundings in which his soul so much delighted. 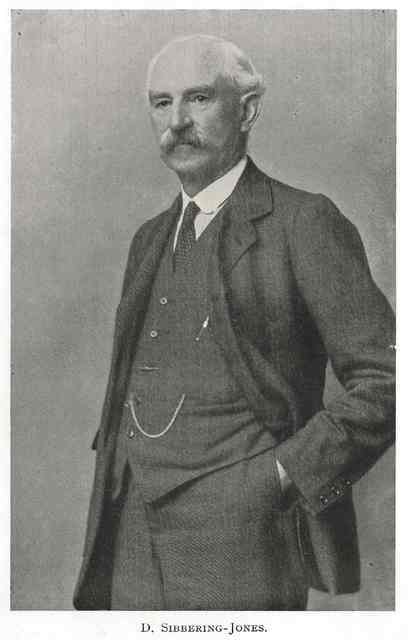 He was greatly interested in the National Museum of Wales and, in 1925, became a member of the Science Committee, acting as Deputy Chairman in 1928-29 and Chairman for the year 1929-30. Whilst appreciative of the value to the public of all branches of museum work, it was perhaps in the Department of Botany that he took most interest, and was keen in helping forward the forestry section of the Department. He gave generous assistance toward field work in connection with the study of trees, and his advice on the utilization of timber was often sought, and always received with profit. He was also an active Rotarian, and had represented the Cardiff Rotary Club in conferences on the other side of the Atlantic. In 1897 he was one of the founders of the Barry Golf Club and was elected the first President of the Club, an office which he continued to hold up to the time of his death. 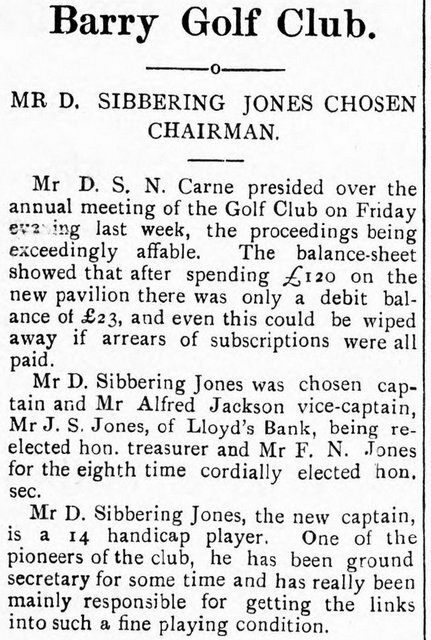 Sibbering-Jones joined the Cardiff Naturalists' Society in 1898 and was elected to the Council in 1906, President for the 1920-21 Session, Vice-President of the Junior Section on its formation in 1921, and President of the Junior Section for the Session 1927-28. He also had a long and useful connection with the Biological and Geological Section, of which he was a member. Forest and other Trees." 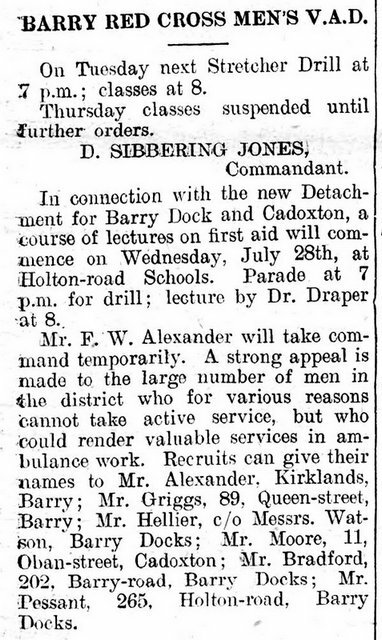 Chiefly relating to the Cardiff District-to the Biological and Geological Section on December 13th, 1906. Presidential Address to the Society on "Trees and Timber," October 21st, 1920. "Wild Life and Scenery in the American National Parks," to the Biological and Geological Section on January 4th, 1923. A Trip to Ancient Greece," his Presidential Address to the Junior Section on November 11th, 1927. 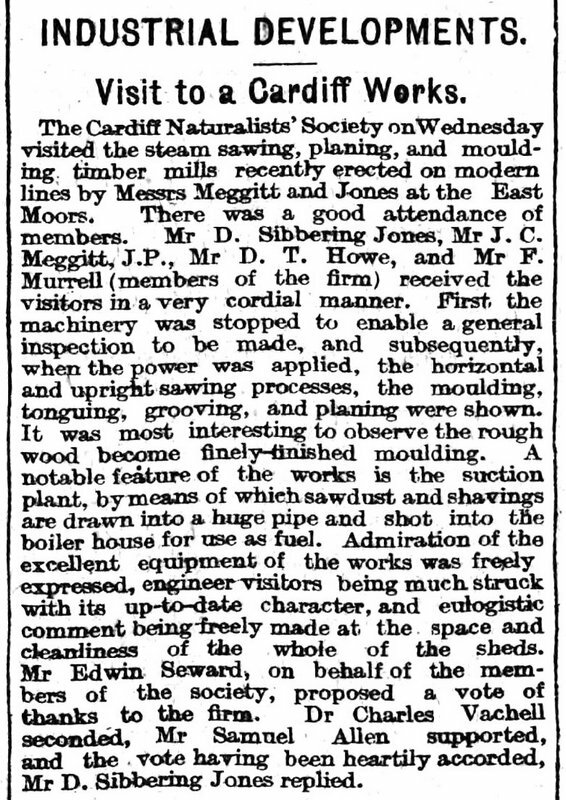 In 1910 He hosted a visit of the Society to the steam sawing, planing, and moulding timber mills recently erected on modern lines by Messrs Meggitt and Jones at the East Moors. 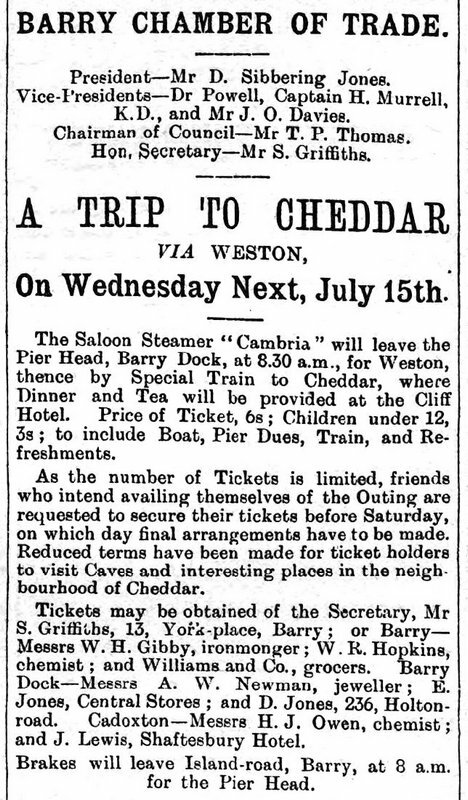 Mr. Meggitt was married to the elder daughter of Mr. J. G. Proger, of Cardiff, whose younger daughter is now married to Mr. Meggitt's partner, Mr. D. Sibbering Jones. 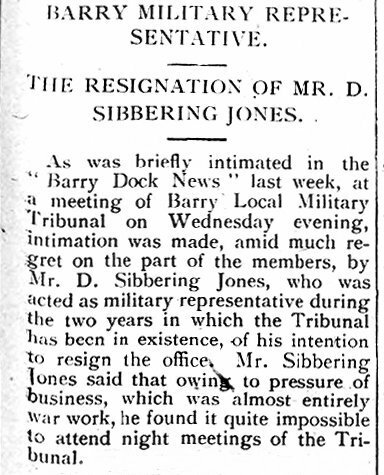 During World War I, in addition to continuing to run his timber business (which was doing war work) he served in a number of home based roles in relation to the war.